Australia is one of the best immigration destinations in the world. The country provides numerous opportunities for the immigrants in the country, especially for the ones coming on Skilled Migration Visa, Study Visa, Business Visa, etc. With its well organized point based system, as well as the high wages, high employment rate, and cultural diversity, Oz has been a centre of attraction that welcomes several immigrants every year. The ongoing Skill Shortage across many industries of Oz, has given the golden chance to different young and skilled, talented individuals to come and work or settle in the nation on a permanent basis. People love to settle in the country because of the several benefits such as quality of life, health, as well as the education, economic freedom, and the protection of the civil liberties and the political rights. It is a great country to live in and perform business activities. Down Under has a good reputation as it offers a high standard way of living. It has been making the maximum efforts to attract the skilled workers. The entire process of the Australian immigration seems to be highly complex, but much depends upon the different skills and specific regions that the migrants wish to move to. Down Under is one of the wonderful immigration destinations for the skilled workers, as well as the students, and the business class. Some of the best visas issued for the hotspot are namely the Skilled Visa, Business Visa, Student Visa, Working Holiday Visa, and Permanent Residence (PR) Visa. A citizen has automatic rights to enter Australia, but the permanent resident must select certain options to travel internationally, where they ensure if these migrants have got a Permanent Visa with the valid travel authority and wish to return Australia as a Permanent resident. While an Australian citizen can vote in the Australian Government elections, permanent residents cannot participate in voting. But if a permanent resident has enrolled to vote prior to 1984, he is eligible for voting. There are mainly two ways to become eligible to apply for a PR Visa. Firstly, you must have resided in the country for at least two years. But you must work for one year in the same country amongst two years. The second method is to get sponsored under the Regional Sponsored Migration Scheme. These are the two different methods that must be followed to become eligible for the Australia PR Visa. However, the second one requires some kind of challenging proof and paperwork. 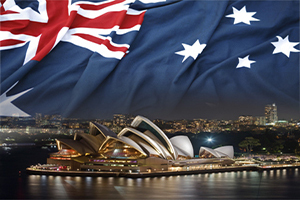 For more information on the Australia PR Visa please contact me at mustaqali@abhinav.com. Would like tom know if we are eligible for canada/australia pr migration, which has high success rate etc..